100% Cotton one side velour with terry on other side. Hemmed end. A sweat towel or gym towel, often of similar size to a hand towel, is used during a workout to dry yourself from sweat and/or to make a barrier between the gym machines and your skin, It can also be required in gyms in order to wipe down the machines after use[citation needed. A sports towel is a towel used by swimmers and divers. 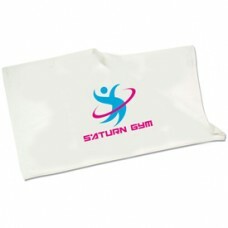 It is a super-absorbent towel that can be wrung out when saturated, leaving the towel able to absorb water again, although not dry.